Back in June or was it July, Stephanie came up with this idea to wear more of her dresses and skirts in her closet. She realized that she had a ton that she never wore, so what else do you do when you have a blog? You ask all of your blogging friends to join in. We all said we didn't think we could do a full 30 days, so we settled on 10. 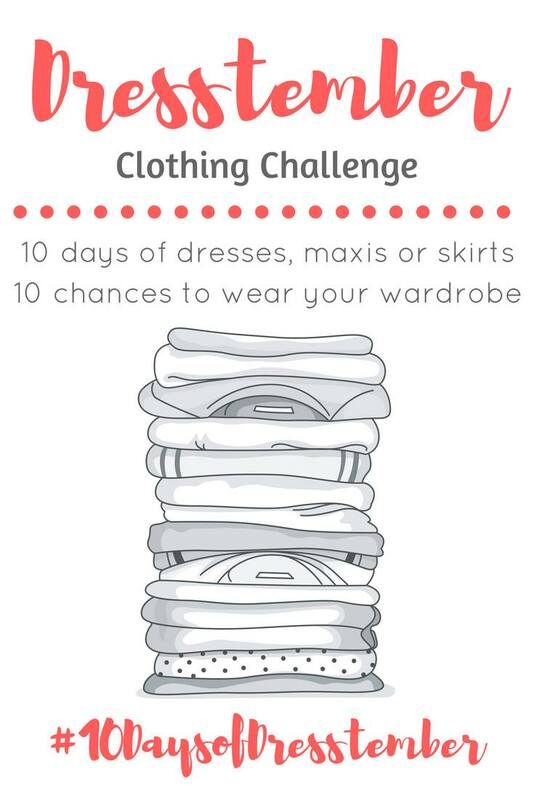 I made my 10, and then forgot to take pictures of 2 outfits, so really I got 12 days, woo hoo! So what did I wear? Here ya go. This dress is one of my favorite Spring time purchases. So what I get from doing this challenge, EVERYONE should own a jean jacket, apparently I wear it a lot as a completer piece. Perhaps I need some new completer pieces...hmmm... Also I love floral and stripes. So did you try out the challenge? How did you do?